This website will present you some distinctive features (sometimes less known) of Belle-Ile. First of all, here are some examples of what this beautiful island may offer you. Sunny beaches, rough sea and foamy waves, flowery moors and small sheltered creeks, villages well integrated in the environment, secret glens, rocks chiseled by wind and sea, Belle-Ile shows many different faces and an amazing variety of superb landscapes. Here is Donnant, one of the most beautiful beaches. The sea is rarely calm, often rough and sometimes wild.The waves roar when breaking on the golden sand. It is the preferred spot of surfers and body-boarders. 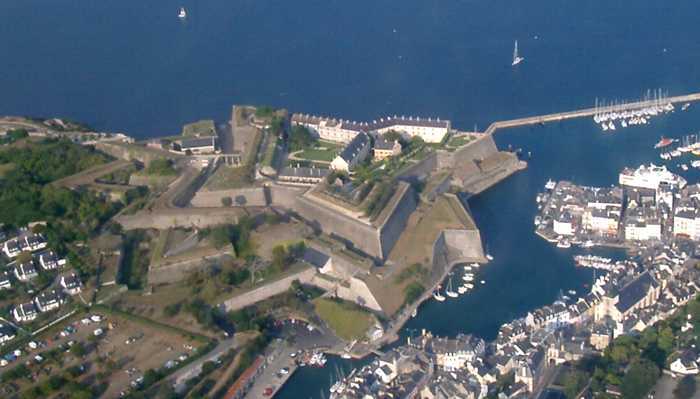 Sauzon harbour is located on the port side of a ria (more than half a mile long).This natural harbour is well protected from the prevailing winds and is an appreciated mooring place for yachtsmen. Such a beautiful place is much sought after by photographers and painters. 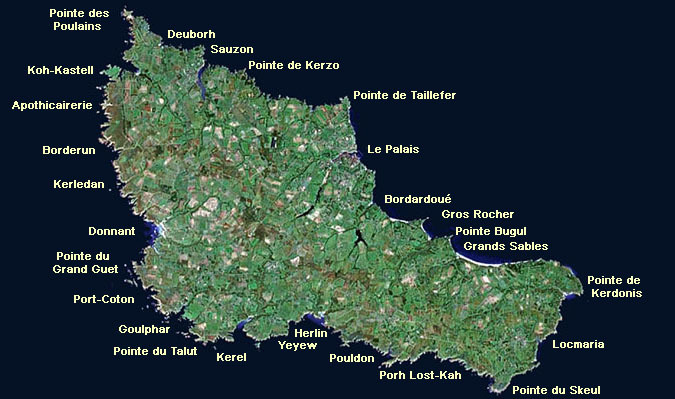 A map of the villages of Belle-Ile, and some useful web links relative to Belle-Ile en Mer. Did you know ? The "March of Belle-Isle" (see the lyrics at: http://www.fidella.com/trmg/TRMG3.html ) was created to celebrate the surrender of the citadel of Belle-Ile on the 7th of June , 1761, and, today, the laurels on the badge of the Royal Marines "are believed to honour the gallantry they displayed during the capture of Belle Isle in 1761".